It’s been a whirlwind 24 hours for writer-director Steven Knight. Best known as the creator of hit period drama Peaky Blinders, Knight is angling Serenity, a supernatural drama headed up by Matthew McConaughey and Anne Hathaway, to be his next directorial effort, and news from Cannes reveals that the project is on the verge of landing Uma Thurman. 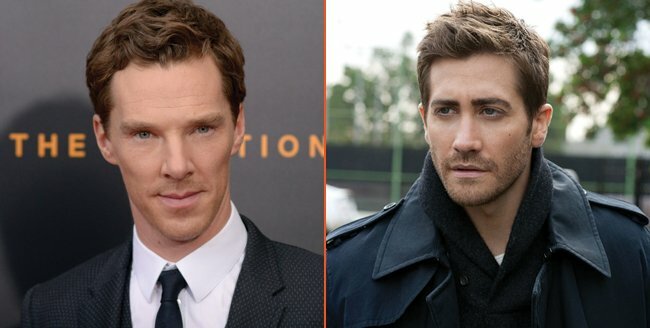 But Steven Knight has another feature film incubating in the formative stages of development, and Deadline brings word today that the as-yet-untitled thriller is now eyeing Benedict Cumberbatch and Jake Gyllenhaal. Negotiations are ongoing, but the fact that Knight’s script has attracted two Oscar-nominees is an early vote of confidence in and of itself. Italian helmer Luca Guadagnino is attached to direct the nebulous feature, which largely centers on two friends – Cumberbatch and Gyllenhaal, presumably – one a “business titan and the other a journalist.” Barring the fact that Steven Knight’s treatment also includes a strong female lead, not to mention the inclusion of some far-flung exotic locale, little is known about the actual story at hand. What can we confirm, though? Well, StudioCanal has signed on to finance the pic, and is seemingly targeting a production start in the early stages of 2018. Guadagnino, on the other hand, is coming off festival darling Call Me By Your Name, and has reportedly signed on to develop a remake of Suspiria. Meanwhile, Serenity is the next port of call for Steven Knight when it comes to directing, and Peaky Blinders is expected to air its fourth season before the year’s end. A fifth and potentially final season is also in the pipeline.